Balitmore Orioles shortstop Richie Martin will start and bat seventh in Saturday's Game 2 lineup against the Minnesota Twins. Martin will be in the lineup for Game 2 with Chris Davis sitting out. Our models project Martin for 8.8 FanDuel points at the cost of $2,200. 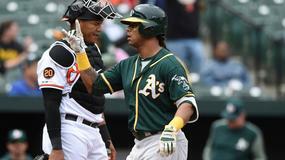 Baltimore Orioles catcher Jesus Sucre will start and bat sixth in Saturday's Game 2 lineup against the Minnesota Twins. 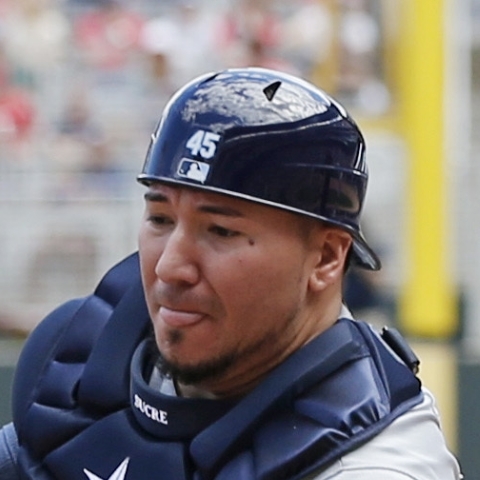 Sucre will be behind the plate tonight with Pedro Severino resting. 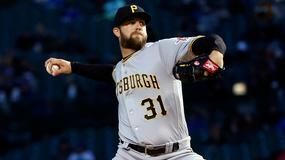 Our models project Sucre for 6.2 FanDuel points at the cost of $2,100. 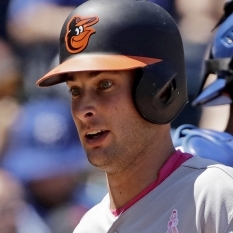 Baltimore Orioles outfielder Joey Rickard is starting in Saturday's Game 2 lineup against the Minnesota Twins. Rickard will start tonight in left field with Dwight Smith Jr. sitting out. Our models project Rickard for 9.9 FanDuel points at the cost of $2,700. 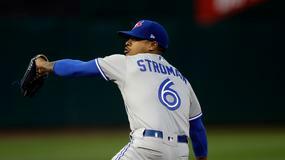 Cleveland Indians utility-man Mike Freeman will start and bat ninth in Saturday's Game 2 lineup against the Atlanta Braves. Freeman will be in the lineup tonight with Jason Kipnis resting Game 2. Our models project Freeman for 7.1 FanDuel points at the cost of $2,000. 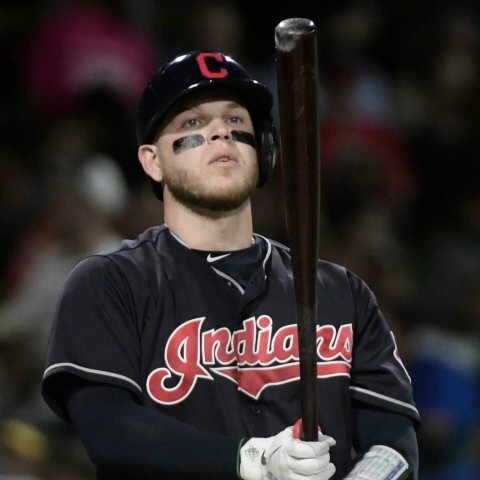 Cleveland Indians catcher Roberto Perez will start and bat eighth in Saturday's Game 2 lineup against the Atlanta Braves. Perez will return to the lineup for Game 2 with Kevin Plawecki sitting. Our models project Perez for 7.3 FanDuel points at the cost of $2,200. 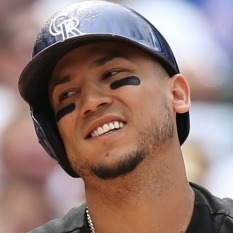 Cleveland Indians outfielder Carlos Gonzalez will start in Saturday's night game against the Atlanta Braves. Gonzalez will start Game 2 of Saturday's doubleheader with Greg Allen resting. Our models project the veteran for 10.0 FanDuel points at the cost of $2,400. Cleveland Indians shortstop Francisco Lindor will start in Saturday's Game 2 lineup against the Atlanta Braves. Lindor will start tonight at shortstop with Max Moroff sitting out. 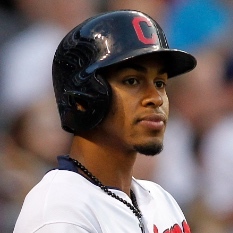 Our models project Lindor for 11.5 FanDuel points at the cost of $4,000. 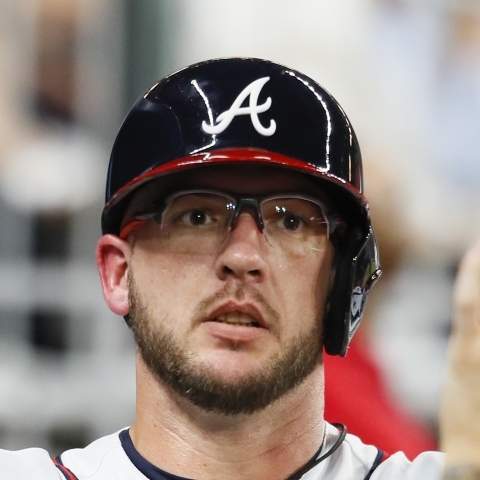 Atlanta Braves catcher Tyler Flowers will start and bat eighth in Saturday's Game 2 lineup against the Cleveland Indians. Flowers will catch tonight with Brian McCann given Game 2 of the doubleheader off. Our models project Flowers for 8.0 FanDuel points at the cost of $2,400. Atlanta Braves outfielder Matt Joyce is not starting in Saturday's Game 2 lineup against the Cleveland Indians. 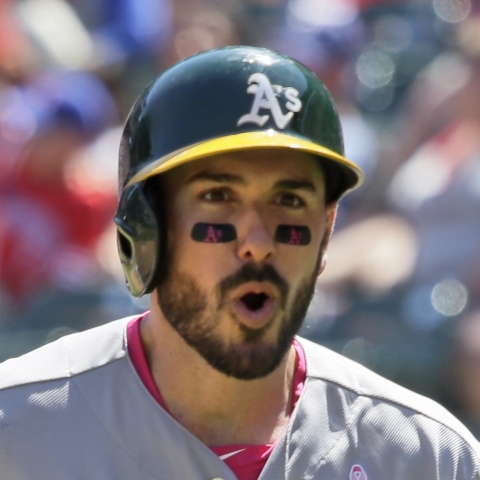 Joyce will sit in the second game of Saturday's doubleheader with Nick Markakis shifting to right field, Josh Donaldson handling designated hitting duties, and Johan Camargo starting at third base. In 14 at-bats this season, Joyce has produced two home runs and three RBI. 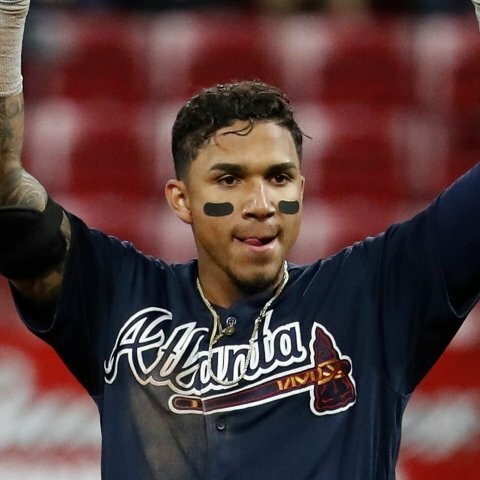 Atlanta Braves infielder Johan Camargo will start and bat sixth in Saturday's night lineup against the Cleveland Indians. Camargo will start tonight at third base with Josh Donaldson handling designated hitting duties, Nick Markakis moving to right field, and Matt Joyce heading to the bench. Our models project Camargo for 9.1 FanDuel points at the cost of $2,700. Philadelphia Phillies infielder Jean Segura was placed on the 10-Day Injured List after suffering a left hamstring injury. Segura will miss time after being placed on the Injured List retroactive to April 16th. Expect Philip Gosselin to start at shortstop with Segura and Scott Kingery out with injuries. In 67 at-bats this season, Segura has produced a .328 batting average, one home run, and ten RBI. 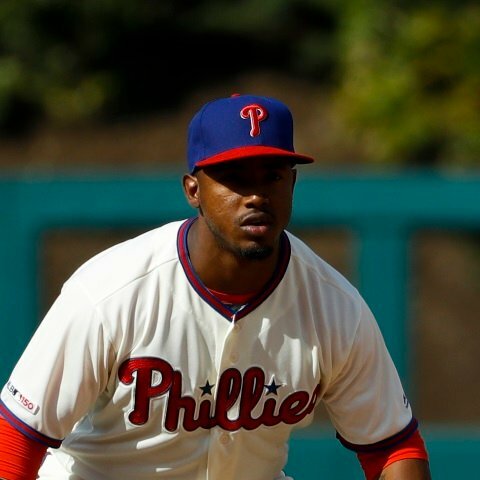 Philadelphia Phillies Philip Gosselin will start and bat seventh in Saturday's lineup against the Colorado Rockies. Gosselin will start tonight at shortstop with Scott Kingery placed on the 10-Day Injured List. Our models project Gosselin for 6.5 FanDuel points at the cost of $2,600. 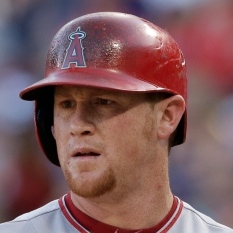 Los Angeles Angels outfielder Kole Calhoun will not start in Saturday's game against the Seattle Mariners. Calhoun will rest tonight with Brian Goodwin starting in right field. 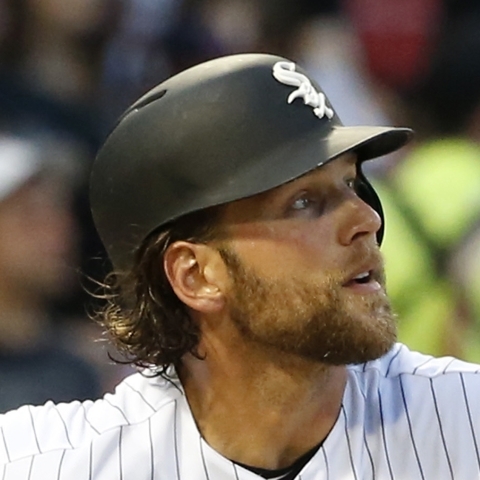 In 71 at-bats this season, Calhoun has produced a .183 batting average, 4 home runs, and 9 RBI. 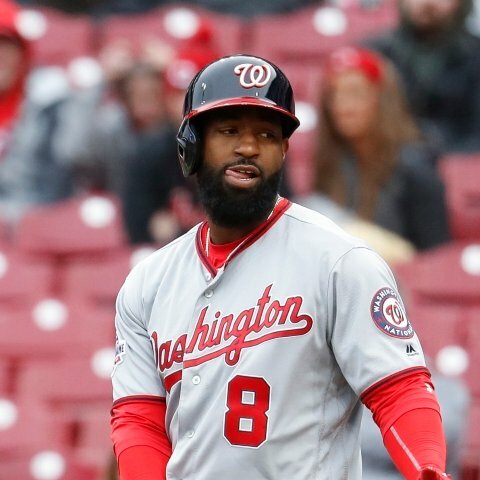 Los Angeles Angels outfielder Brian Goodwin will start and bat seventh in Saturday's lineup against the Seattle Mariners. Goodwin will return to the lineup tonight with Kole Calhoun sitting. Our models project Goodwin for 7.7 FanDuel points at the cost of $3,200. 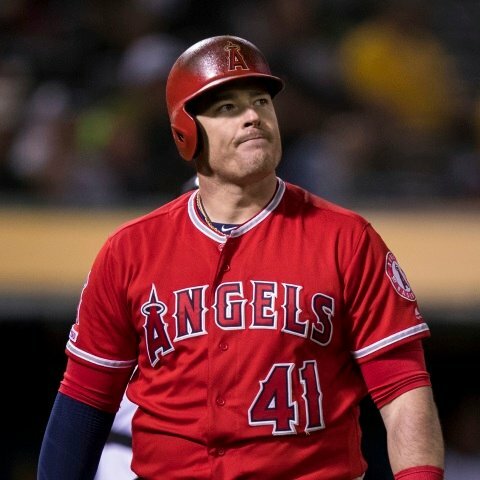 Los Angeles Angels first baseman Justin Bour is not starting against the Seattle Mariners on Saturday. Bour will head to the bench tonight with Albert Pujols starting at first base and Kevan Smith handling designated hitting duties. In 53 at-bats this season, Bour has produced a .208 batting average, one home run, and five RBI. Los Angeles Angels catcher Kevan Smith will start in Saturday's lineup against the Seattle Mariners. 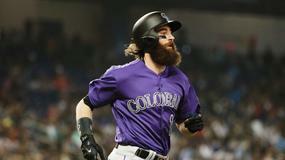 Smith will handle designated hitting duties with Justin Bour receiving the night off and Albert Pujols starting at first base. Our models project Smith for 7.7 FanDuel points at the cost of $2,100. 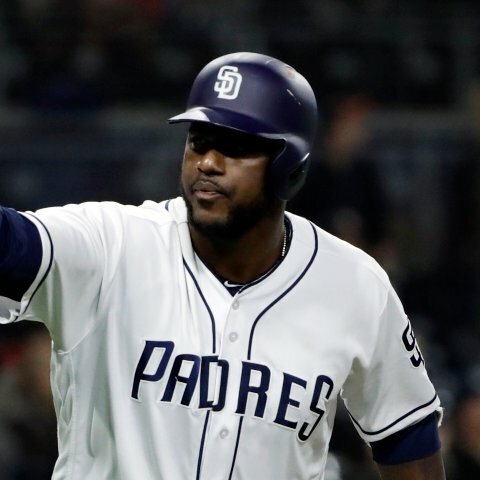 San Diego Padres infielder/outfielder Jose Pirela is in the lineup on Saturday in the team's game against the Cincinnati Reds. Pirela is getting the nod in left field while batting eighth in the order against Reds starter Luis Castillo. Our models project him for 9 fanduel points. 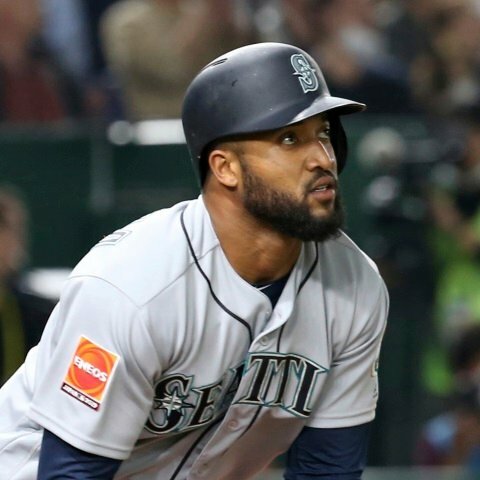 Seattle Mariners outfielder Domingo Santana will start and bat second in Saturday's game against the Los Angeles Angels. Santana is starting in left field tonight with Mallex Smith receiving Saturday off. Our models project Santana for 10.1 FanDuel points at the cost of $3,500. 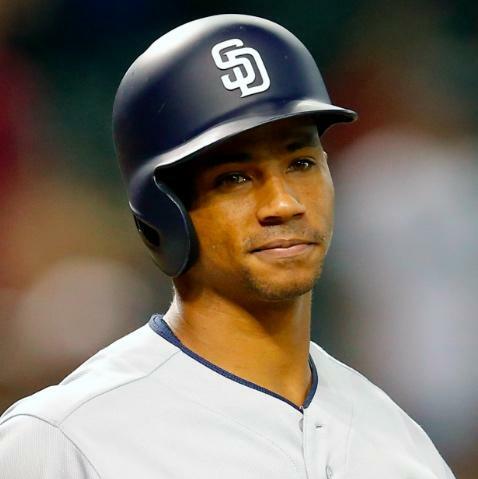 San Diego Padres catcher Francisco Mejia is in the lineup on Saturday in the team's game against the Cincinnati Reds. 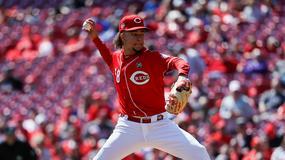 Mejia is getting the nod behind the plate while batting second in the order against Reds starter Luis Castillo. 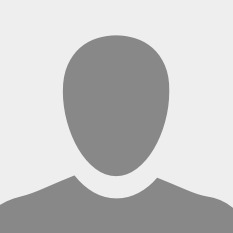 Our models project Mejia for 8.3 FanDuel points across 4.55 plate appearances. 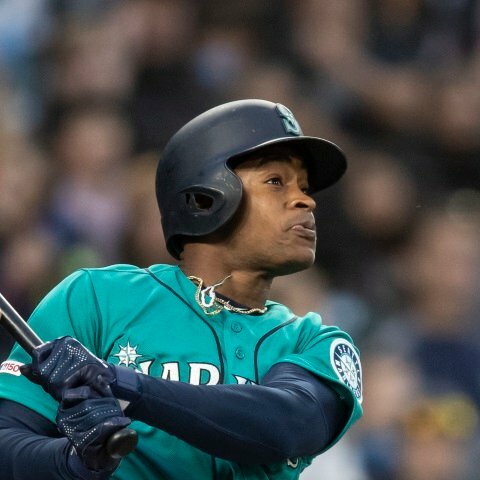 Seattle Mariners outfielder Mallex Smith is not starting in Saturday's lineup against the Los Angeles Angels. Smith will head to the bench tonight with Domingo Santana starting in left field, Jay Bruce moving to right, and Mitch Haniger to center. In 79 at-bats this season, the speedy outfielder has produced a .203 batting average, 1 home run, and 5 RBI. 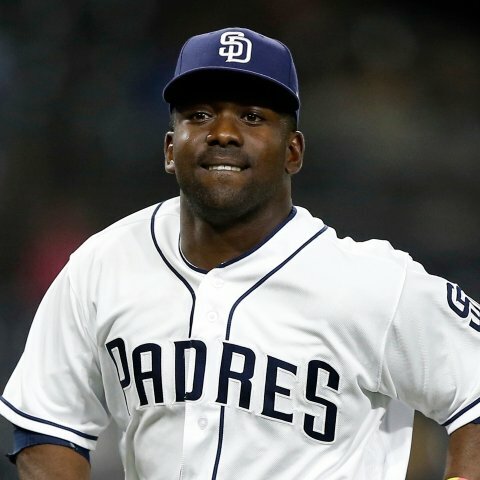 San Diego Padres outfielder Franmil Reyes is sitting on Saturday in the team's game against the Cincinnati Reds. Reyes is being replaced in right field by Hunter Renfroe against Reds starter Luis Castillo. In 65 plate appearances this season, Reyes has a .196 batting average and a .723 OPS. 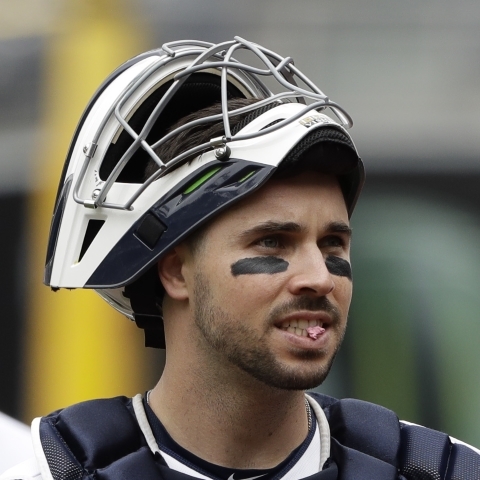 San Diego Padres catcher Austin Hedges is not in the lineup on Saturday in the team's game against the Cincinnati Reds. Hedges is being replaced behind the plate by Francisco Mejia against Reds starter Luis Castillo. 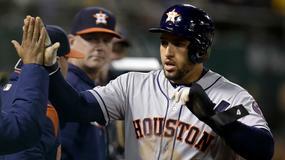 In 51 plate appearances this season, Hedges has a .170 batting average and a .554 OPS. 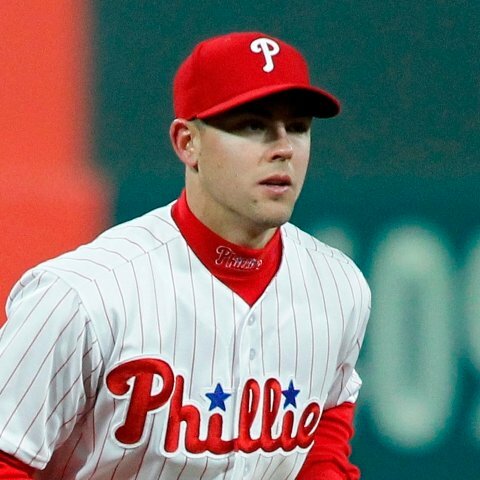 Philadelphia Phillies infielder Scott Kingery was placed on the 10-Day Injured List after suffering a right hamstring strain. Kingery will miss some time after injuring his right hamstring on Friday. 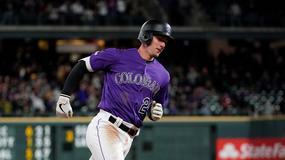 Look for Philip Gosselin to receive more playing time at shortstop. In 32 at-bats this season, Kingery has produced a 406 batting average, 2 home runs, and 6 RBI. 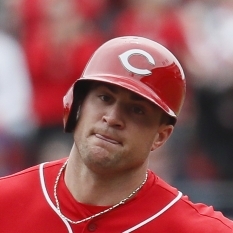 Cincinnati Reds outfielder Scott Schebler is starting in Saturday's game against the San Diego Padres. Schebler will be in center field against San Diego with Jesse Winker given the night off. Our models project Schebler for 9.5 FanDuel points at the cost of $2,300. Cincinnati Reds outfielder Jesse Winker is not starting against the San Diego Padres on Saturday. Winker will sit tonight with Scott Schebler starting in center field. 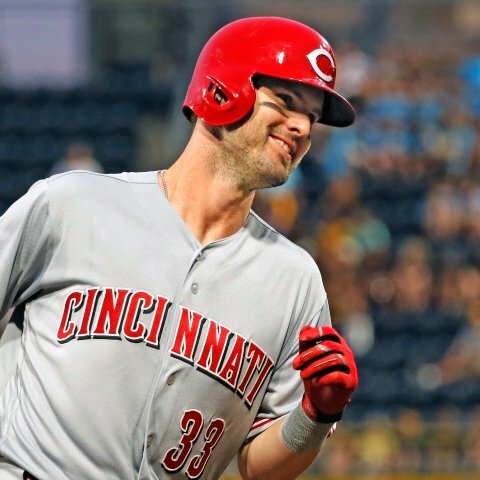 In 59 at-bats this season, Winker has produced a .169 batting average, 5 home runs, and 9 RBI.